It fills me with an irrepressible sense of pride and elation to be at this point in life, being the Head Boy of this prestigious institution that serves as a second home to an impressive cadre of students. 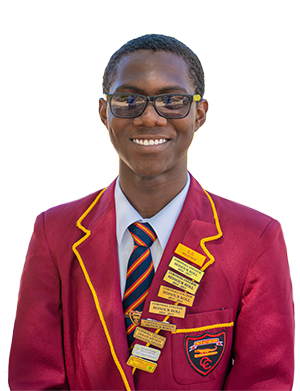 The illustrious Cornwall College has been a leader in academics, extra-curricular ventures, technical skills, scientific endeavours, entrepreneurial exploits, sports and every other discipline to which the men emblazoned in red and gold have applied themselves. Irrespective of this institution’s past glory, the present reality is that the onus is on all stakeholders affiliated with the Cornwall College brand to forge a new path. There is a rich legacy – 122 years of vibrant history – that sets a precedent for us all to emulate. Those 122 years have led to Cornwall College evolving to become more than a learning institution. Indeed, the wider diaspora would concur with that sentiment. Cornwall College is a recognizable, universally-lauded brand. The journey to becoming a universally-lauded brand was far from easy. It necessitated a spirit of diligence. Industrious resoluteness and an indomitable will were also key tenets. The great men who forged this path before us were no different from us. They weren’t any stronger, smarter or better than we were. The key distinction that differentiates us from them is our willingness to forge ahead. The journey to the stardom our predecessors have attained is a long and tedious one. From personal experience, I can say beyond the shadow of a doubt that you will encounter immense difficulties in walking the road of life. Many have gotten lost due to the challenges that faced them. Take heed, Cornwallians. When life drops a boulder in your path, kick it away. When it drops a mountain, climb over it. Don’t allow anything at all to detract from your path. In so doing, you will become a wholesome, well-rounded individual and a better person for it. The burden of responsibility and culpability is a heavy mantel to take up, but it is one we must bear with steadfast diligence to live up to the legacy left behind by our predecessors. Many have passed through the hallowed halls of Cornwall College, and have gone on to achieve their zenith as proud men of might. It is imperative that we do the same. In all pursuits – irrespective of what pursuit it may be – we must allow belief to be the framework of the foundation upon which success is built. Always remember that the greatness of a man is not in how much wealth he acquires, but in his integrity and his ability to affect those around him positively. A man’s greatness is not quantified by his material possessions, but rather by his personal virtues. Those are words to live by. With that philosophy in mind, we can be content that our efforts are not in vain. Though failure on this journey is inevitable, do not be disheartened. Greatness is inevitable in our futures. To achieve this greatness, a collaborative, assiduous effort must be made to overcome all challenges along the way. If this criterion is met, nothing can stop us on our path to immortality.